The basics of a flipped meeting are simple – share information ahead of time, focus on making decisions in-meeting, and follow up with a summary to keep your team up to date and moving forward. Success requires just a little planning and a commitment to getting the documentation right. Want to make flipping your meetings even easier? The tool is literally right in front of you—in the form of the webcam in your laptop or smartphone. 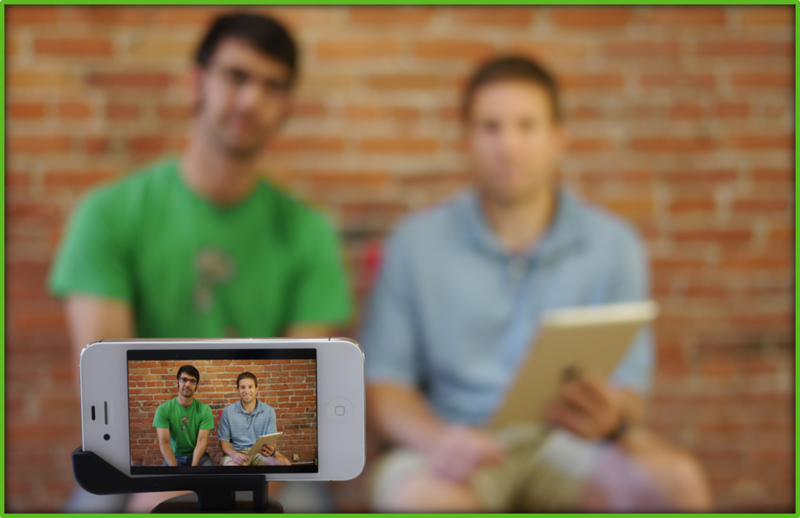 Video can be used to support and simplify almost every aspect of a flipped meeting. Two tricks in particular will make your life much easier. Sharing your meeting materials ahead of time for your team to review is essential to successfully flip your meeting. But—most of us still want that opportunity to present the most essential points. Here’s where we can go above and beyond with a best practice from flipped classrooms. Recording a quick video summary of your presentation materials—just as a screen capture, or with Panopto to capture your PowerPoint slides and record your presentation—gives you the opportunity to provide a quick executive summary to pair with your materials. You’ll want to keep your pre-meeting summary video short—aim for 3-5 minutes when preparing a 30-minute meeting, and 5-7 minutes when preparing for an hour or more. As a rule, viewers get distracted or click away after only a few minutes, so you’ll need to put your most important information right up front and make your point quickly. For your audience, a brief video overview can help familiarize them with your topic, provide a strong point of reference as to the goals of the meeting, and establish you as the driver to keep the meeting moving as it should. The post-meeting email wrap -identifying new or remaining action items, deliverables, and points of accountability is essential to keeping the work moving. But getting all that from your notes into email takes time. A better option? A video recap! When your meeting wraps, take just 5 minutes with your laptop or smartphone webcam and record yourself summarizing your discussion and detailing decisions and next steps. And if you’ve used a whiteboard to take notes, you can even capture the details recorded there too. Once you’ve finished, just upload the video to your secure video library, share the link with your team, and get back to work. You’ll be surprised just how much time a 5-minute video will save you in place of the standard email write up. The way we do meetings today is broken. Meetings at most organizations are PowerPoint-driven lectures, structured to offer little opportunity to get real work done and real decisions made. But there is an alternative. The flipped meeting – pioneered by innovative companies like Amazon and LinkedIn, and built on the model of the flipped classroom that has been rolled out in universities across the country and around the world. Ready to get more out of your meetings? 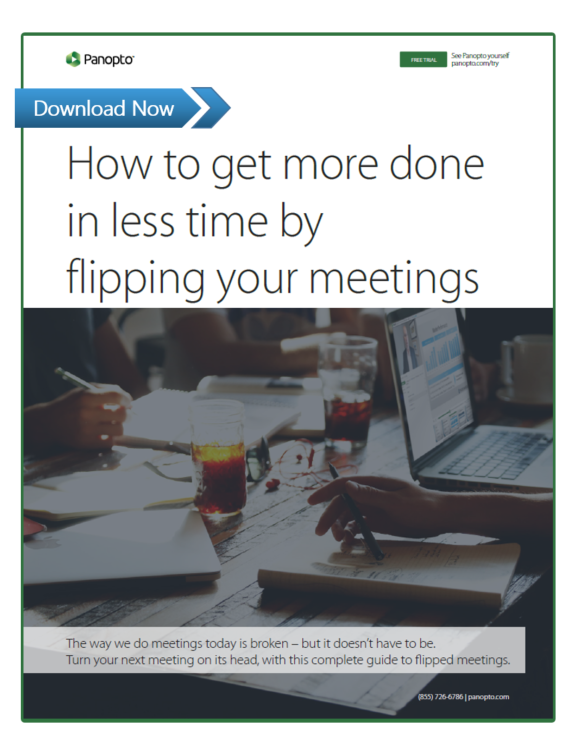 Download our latest free white paper, “Turn Your Meeting On Its Head: A guide to flipped meetings” today.